Ismaile S.H. 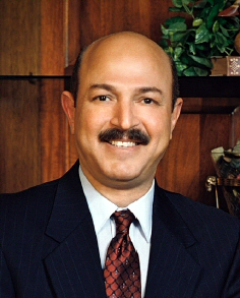 Abdalla, M.D., Ph.D., F.A.C.C. received his medical degree with Honors from the University of Alexandria, Alexandria, Egypt. He received his Ph.D. degree in Epidemiology from the University of Minnesota in Minneapolis, Minnesota. His Ph.D. research project focused on the relationship between ventricular premature complexes and sudden cardiac death in persons without clinically manifested cardiac disease. He completed his Residency in Internal Medicine at the University of North Dakota School of Medicine, Fargo, North Dakota. Dr. Abdalla then completed his Cardiology Fellowship, Clinical Cardiac Electrophysiology Fellowship and Pacemaker Fellowship from the University of Oklahoma Health Sciences, Oklahoma City, OK, where he also participated in numerous research projects in the area of catheter ablation of cardiac arrhythmia. Dr. Abdalla has presented several research studies in the area of Ventricular Arrhythmia and Sudden Cardiac Death as well as in the area of Catheter Ablation of Cardiac Arrhythmia at International Meetings. His work has been published in the American Journal of Cardiology Circulation, the Journal of the American College of Cardiology and PACE. Before coming to Amarillo, Dr. Abdalla worked as Chief, Electrophysiology and Pacemaker Service for the Department of Veterans Affairs Medical Center in Cincinnati, OH. He was also an Assistant Professor of Clinical Medicine, Department of Internal Medicine, Division of Cardiology at the University of Cincinnati College of Medicine in Cincinnati, OH. In addition to his clinical responsibilities at both the University and VA hospitals, he was also involved in the teaching and training of medical students, interns, residents and cardiology fellows. Dr. Abdalla is a Diplomate of the American Board of Clinical Cardiac Electrophysiology and Diplomate of the American Board of Cardiovascular Diseases. He has received certification in Federation Licensing Examination (FLEX), and the Standard ECFMG. He is a member of the Potter-Randall County Medical Society, the Oklahoma State Medical Association, the Texas Medical Association, the American Medical Association, the North American Society of Pacing and Electrophysiology (NASPE), and a Fellow of the American College of Cardiology. Dr. Abdalla practices Interventional Electrophysiology and Pacemaker as well as Invasive and Clinical Cardiology at Amarillo Heart Group. Special skills include: Electrophysiology Studies and Radiofrequency Catheter Ablation of Arrhythmia; Pharmacological Management of Cardiac Arrhythmia; Temporary and Permanent pacemaker Implantations; defibrillator Implantation; Syncope Evaluation; Tilt table Tests; Diagnostic Right and Left Cardiac Catheterization; Cardioversion; Exercise Stress Testing; Two-Dimensional Doppler Echocardiography.